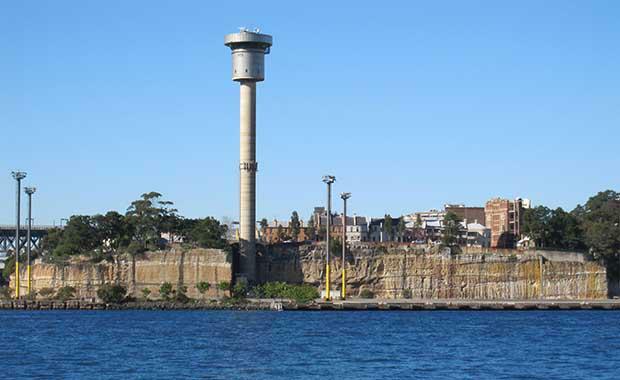 said the Sydney Harbour Control Tower is out of place in low-rise Millers Point, and are rejecting claims for it to become heritage listed. says that some heritage bodies are only looking for the heritage listing in order to preserve the memory of when the Sydney Harbour was a busy port area. Mr Johnson also says that the call for heritage listing is a throwback to keep the container wharf shapes instead of supporting the reshaping of the original headland that is now in place. “The Heritage Council’s Statement of Significance seems to struggle to addresses aesthetic significance of the Control tower by mainly referring to it simply as an engineering structure and by saying the architects had designed some good buildings in Canberra,” Mr Johnson said. Mr Johnson says that normally the Urban Taskforce would be supportive of tall buildings, so long as they are appropriate to the area and that current heritage groups shouldn’t be pushing for something that groups 40-years ago were fighting against. “It seems that some community groups who are against new development are keen to use the heritage laws to compromise the new development,” Mr Johnson says.